Send a meaningful message, it brings you relations plus Business! Business is communication and communication is business. In fact, Communication is the key which can open consumer’s heart. And once this interaction takes place, the deal brings home the business. So, right communication is a must. It creates the opportunity for the business enterprises. It sells products to more hidden consumers. It helps in solving one’s problems at a faster pace. It may even offer new businesses, new relations, new areas of training, events which can bring life to the otherwise colorless life. 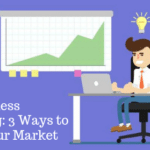 In nutshell, you can market your business in several ways. The new era boasts of many channels of marketing with the online platform and offline promotions. However, one marketing channel offers opening rates of 98%. Sure, it’s SMS or short messages service. It undoubtedly, lead the way in being the most read marketing medium in contrast to emails or social media. Studies have proved that people are most likely to respond to SMS than other marketing mediums, operating at the same time. The smart decision goes in the favor of SMS tool as being the most effective- a Powerful tool to touch a large clientele within no time and making new consumer base with every campaign. Value One loves this small instrument which grows as a gigantic medium to shake hands with the future! Value One prepared India's No.1 Bulk SMS Service Provider to realize the real customer experience. With expertise and field experience, we create the most effective SMS. We assist in positioning the right time to send a message for best acknowledgment. After achieving two best steps, we present effective reports that tell you reading and responding details of your SMS. This, in fact, is the key by which you can open untapped market for the real conversion. Fast delivery of SMS is crucial to acquire, engage or retain consumers. Value One uses the latest technology with futuristic gateway and connectivity to ensure that your texts are delivered at the scheduled time with speed. Customer feedback are also collected in time to enhance consumer experience and satisfaction. Value One Bulk SMS service in Delhi offers advanced features that allow you to upgrade easily as your business demands increase. Our prices are highly competitive so that you get the best services at low costs. Simple and easy to use makes Value One experience a totally user-friendly one. 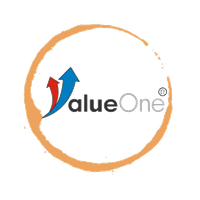 Value One can be used for Transactional Bulk SMS Service such as banks and other organizations giving alerts regarding services, transactions etc. Promotional Bulk SMS Service that sends marketing adverts, promotional messages can be sent with Value One. Saving time and money, Value One gives you a (Bulk SMS Service) marketing tool that gets you fast response and conversions. Accurate and uninterrupted, Bulk SMS Service from Value One is the best choice for Bulk SMS Marketing Campaigns that speak success! These area unit messages that area unit sent to your client to depart this world info necessary for victimization your product or service. For example: 1) A message sent by a bank to Associate in Nursing account holder concerning his/her accessible account balance. 2) A message sent to the buyer by a corporation concerning his Invoice quantity. Within Value One a Transactional message is one that conforms to 1 of your approved Transactional message templates. For additional info on the way to assemble your examples please check wherever do I produce Transactional SMS template and the way do i purchase it approved? Application, Integration, operating strategies square measure specifically same as Short Codes solely distinction is that rather than five or six digit shared short code, you'll be able to use selected any GSM mobile range as your dedicated long code range, you would like to buy a SIM Card so as to line your own Long Code range. Most of individuals do not like to open SMS after they scan SENDER ID in his message inbox list and ignore that style of SMS while not open it. thus we've got brought SIM primarily based SMS as answer which offer you to try to promotional selling with sensible read ration and no SENDER ID, we've got giant setup of SIM base SMS causation system within which user get SMS while not Sender id and that they see some range thereon. By analyzing we tend to noted SMS read ration is ninety nine. 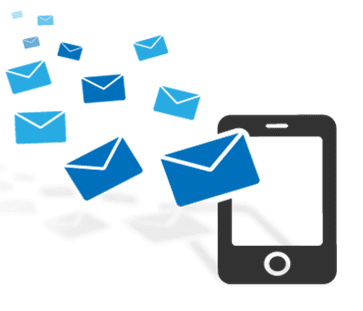 SIM primarily based SMS sent with traditional priority however its offers you ninety nine read end in front of shoppers that square measure terribly reliable for promotional SMS & advertising SMS.